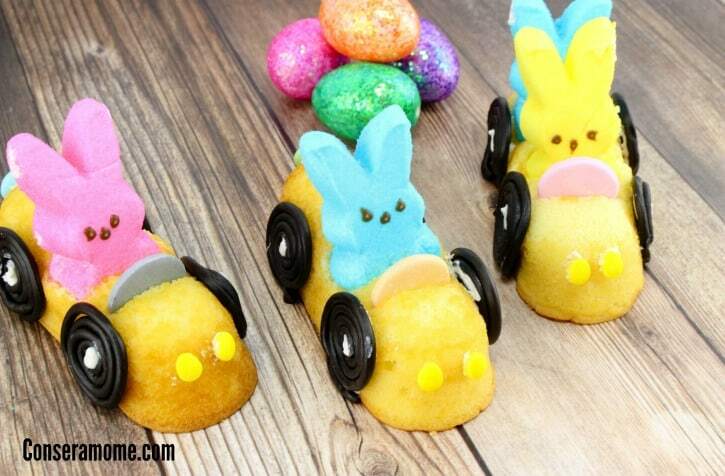 Here’s a fun round up of 20 Fun Easter Treat ideas that will sweeten anyone’s day! Perfect for a Spring party or Easter get together! 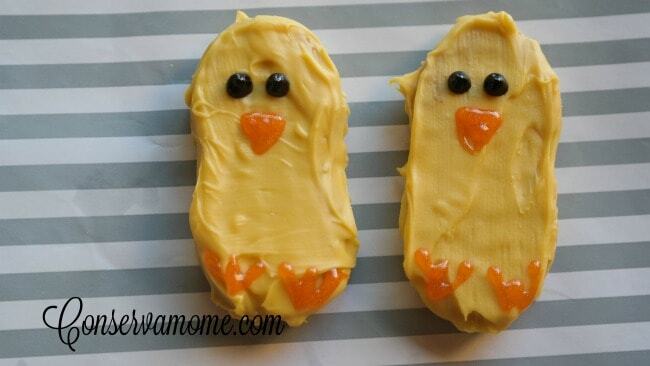 This is a fun round up of creative Easter treat ideas! 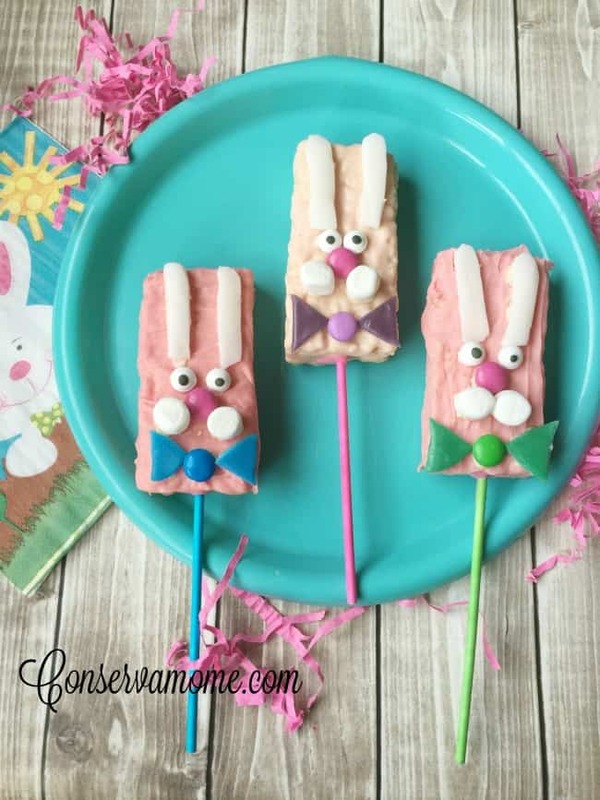 Easter Treat ideas that are sweet fun! Spring is here! What is more fun than enjoying all the gorgeous things around us. However, what’s funner is being able to enjoy spring ideas in your kitchen. 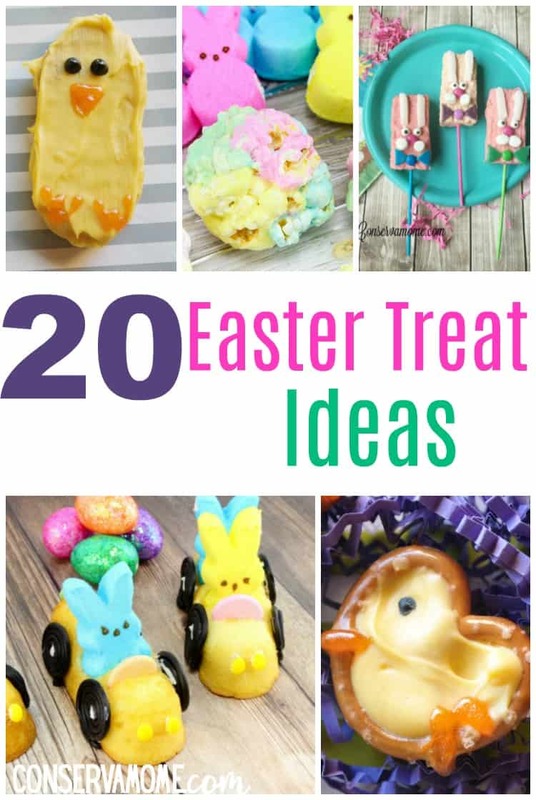 Here’s a collection of 20 Fun Easter Treat Ideas that will give you and your kids hours of fun + and give your spring or Easter Gathering a fun touch. Each link is to a fun and creative page that has the best ideas around. So while there make sure and check out all the other fun ideas those pages have to offer. Aren’t these ideas adorable? There are so many to pick from! Whichever ones you do, you can add your own special touch and bring forth fun and imagination with every item. They can all be made accordingly to dietary needs as well so if you have a little one with allergies there are other fun alternative ingredients you can use as well. The pretzel chicks were a huge hit at our family Easter celebration! Thanks again for these great ideas! ? I made the Easter Basket Cookie Cups for Easter, and they were adorable! Modified it a bit by starting with Blueberry Muffins in jumbo muffin cups (since I had a mix in the cupboard and to sneak in some fruit). Then added ready-to-use frosting, coconut, jelly beans, and licorice strips for the handle. They were a big hit and so pretty, I made them our centerpiece! The pretzel chicks are adorable!! These are such cute ideas! I love the chick cookies. It’s just hard to get some free time to make these! We made the pretzel chicks today…they turned out perfectly! Thanks again for the fun ideas! I love the Easter basket cookie cups! There are so many cute ideas here. These all look like great fun…and I bet they are really tasty too! So many fun and creative ideas its difficult to decide what to do first. The good thing is they all looks fairly easy and yummy too. These are cute. I really like the rice crispy treat nests! Easy but super adorable! If I can stop eating the cookies, the cookie chicks would be a great project for my nieces! Wow, so many great choices, and they’re all so cute! Thanks for including the links to even more suggestions, as well! Such creativity! I love the pretzel ducks! The Pillsbury Cookie Cup Easter Baskets are so cute! The kids would have so much fun helping to make those. I’d also love to try Skinny Taste’s macaroons. These are adorable! We’re decorating for a 2-year-old this year, so it’s going to be fun making some of these! These are too cute! And they all look delish! These look like ideas even I could make. They look both yummy and easy to make. Awesome! These are all such cute Easter treats! I think I am going to try making the Easter Basket Cookie Cups by Pillsbury with my daughter today, hopefully it goes well! 🙂 Thank you for sharing! OMG,these are te cutest cupcake baskets ever thanks so much fr sharing these neat ideas. These are so adorable, thanks for sharing! 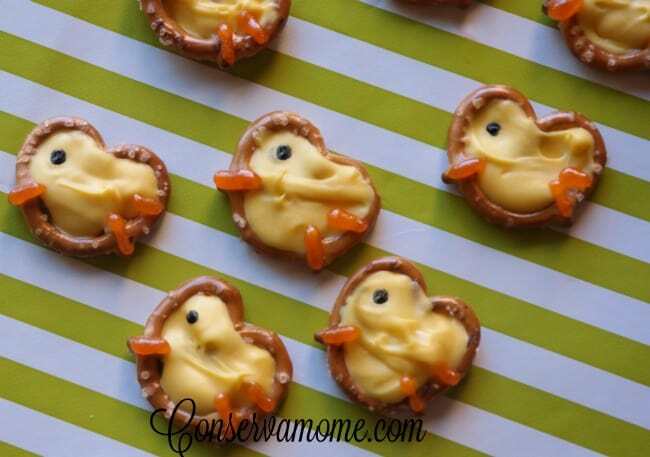 My kids are going to love the pretzel chicks. ? These are adorable! Thanks for all the ideas! Love the bunny rice krispy treats and I didn’t know Easter was coming up so quickly. The pretzel ducks are adorable! The cupcake easter baskets are my fav! The little cupcake/muffin baskets are ADORABLE!! I think the kids and adults would like those! So fun!! I really love those pretzel chicks and the cupcake baskets!! Adorable! Omg, love the Easter basket cupcakes!!! So adorable!! These are all so cute, and they look really yummy too!